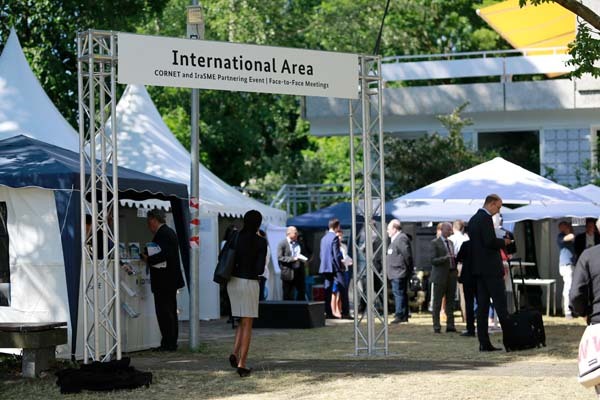 Don’t forget: on 9 May 2019, the German Federal Ministry for Economic Affairs and Energy (BMWi) is again hosting the Innovation Day for SMEs – an annual open air innovation show taking place on the green outdoor grounds of ​​the AiF Projekt GmbH in Berlin-Pankow. More than 300 companies, research institutes and cooperation networks from all over Germany will be presenting new products, processes and services from a wide range of technology sectors. As in the last years, the international funding networks CORNET and IraSME, both supported by the BMWi, will be organising an additional programme in the “International Area”, a meeting point for people from all around the world who can find out about successfully running international research projects and enjoy presentations of several partner regions from both networks, accompanied by a flying buffet. This year, a special focus is set on the partner country Austria. Please find here the final Agenda to have a closer look at the “International Area”’s programme of the day. The Innovation Day for SMEs is free of costs. Registration is not necessary but possible on: www.zim.de/innotag2019. We would be happy to welcome you to the “International Area” at Innovation Day in Berlin! Impressions of last year’s Innovation Day are available here. Please note that, at the event, pictures will be taken due to public relations work.